Deep Tissue Massage, why have it? Are you looking to nourish and detoxify your body? Elemis Cellutox Active Oil is the perfect body detox and will help reduce the appearance of cellulite. Perfect before a summer holiday! Or why not have the ultimate relaxing experience with the harmonising Elemis De Stress Oil. This deeply relaxing collaboration of rosewood, melissa, marjoram, geranium, rosemary, lavender and chamomile sooths the mind, relieves tension and harmonises the body. For the more athletic person, Elemis Musclease Active Oil is perfect to include into a fitness programme. This oil is designed to help muscle pain and stressed joints. 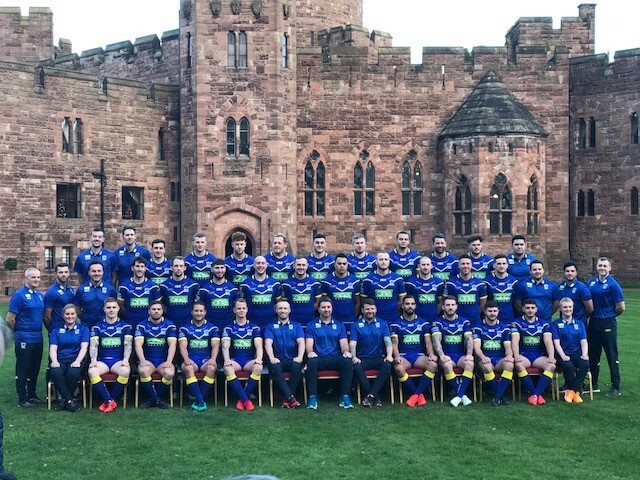 With the new season just a few weeks away we were honoured to host the Warrington Wolves for their pre-season media day here at Peckforton Castle.